*This post is brought to you by Remodo. All opinions are my own. 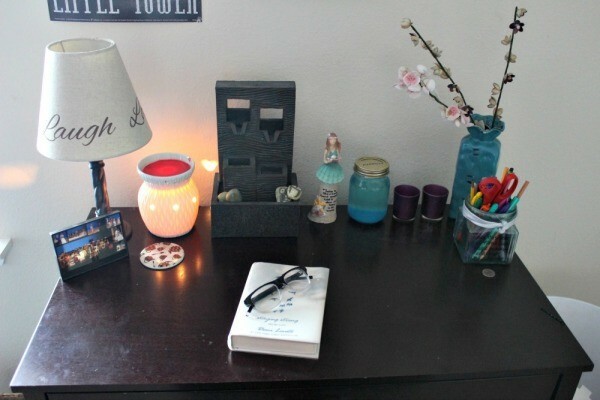 My teenage daughter loves to rearrange and redecorate her room. I’m definitely the one who passed down that gene to her. For years my husband would come home from work and the microwave would be moved to a different location in the kitchen. If it could be moved, I moved it. When my daughter and I heard about Remodo’s new Boxed Rooms, we knew this was exactly what she needed to turn her room into a space that not only reflects her personality, but makes decorating easy and simple. 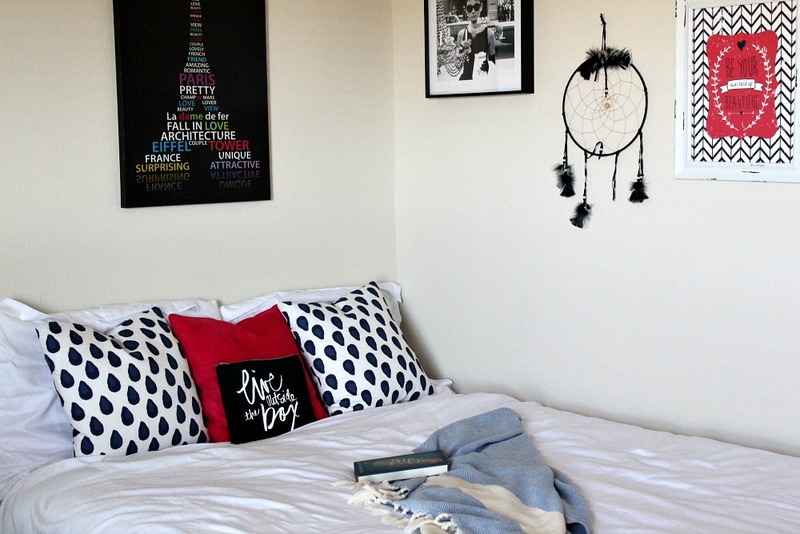 Here’s Hannah’s room before. 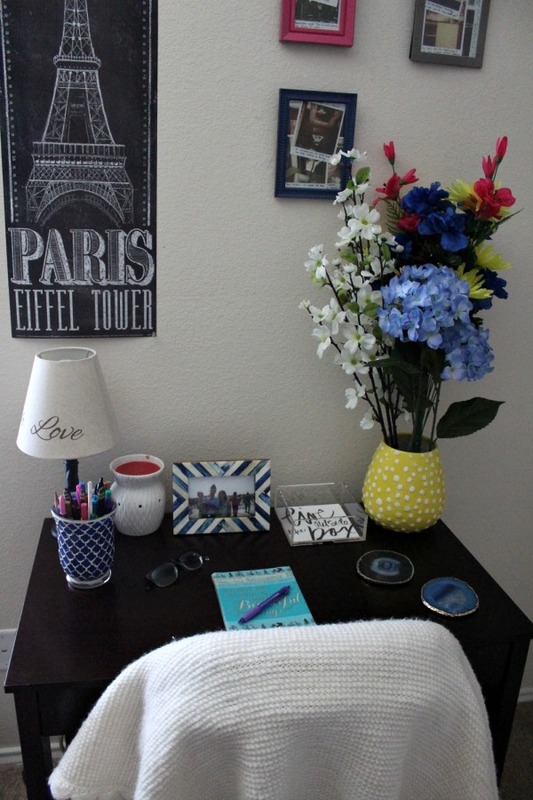 It needed some color and cohesiveness to it. She’s been wanting to do an indigo and hot pink color scheme, and the Reflect Remodo Boxed Room gave her one fantastic starting point. 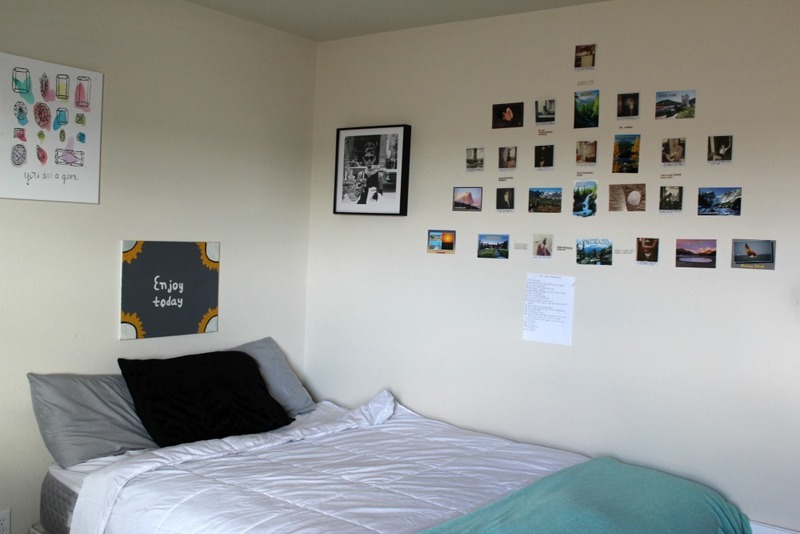 Here’s her bed area after. I absolutely love the blue and hot pink together. All of her walls, but one (the GIANT chalkboard wall), are white so she really needed some color. But, she really likes the simplicity of a white comforter. 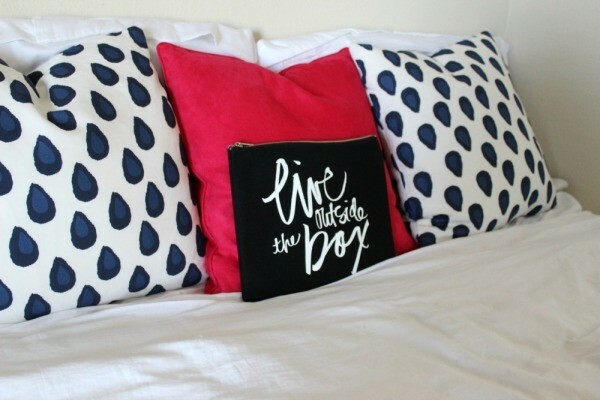 The two pillows and blanket from her Remodo boxed room adds that punch of color. The bedding set that came in the boxed room is so luxurious. It’s made with 100% Cotton Satten and according to my daughter “the most comfortable, softest thing she’s ever slept on.” I really like using duvet covers instead of a comforter. It completely makes sense, especially for students and young adults who are out on their own for the first time. 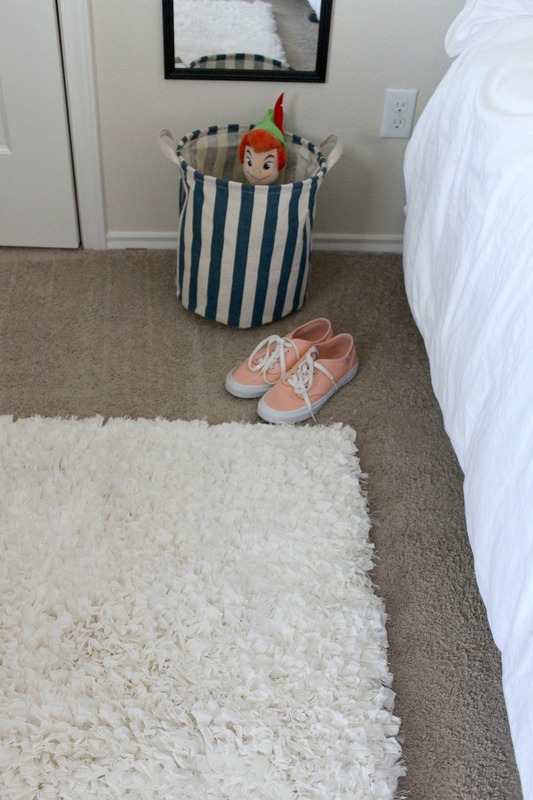 It’s a lot easier to take the duvet cover off and throw it in the wash, then dropping it off at the cleaners. Something I’m sure they don’t do or think of doing! Here’s another before look of Hannah’s desk area. Unfortunately, new furniture isn’t in the budget for her room right now, so we dress up the old with the new as best we can. 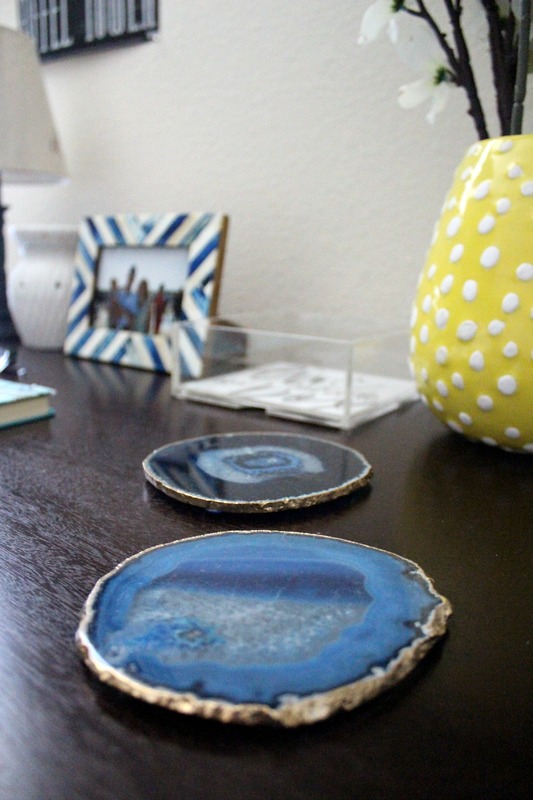 We added the gorgeous Agate Coasters, which feature Brazilian Gemstone and Gold Plated Edges. 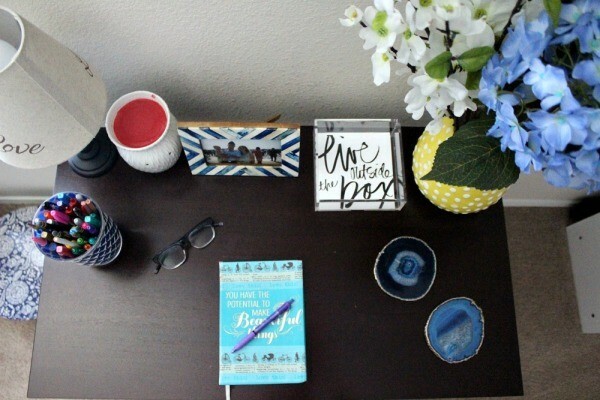 We also added the Lucite tray, which she uses to corral those loose items. some flowers. and the bone and horn picture frame. 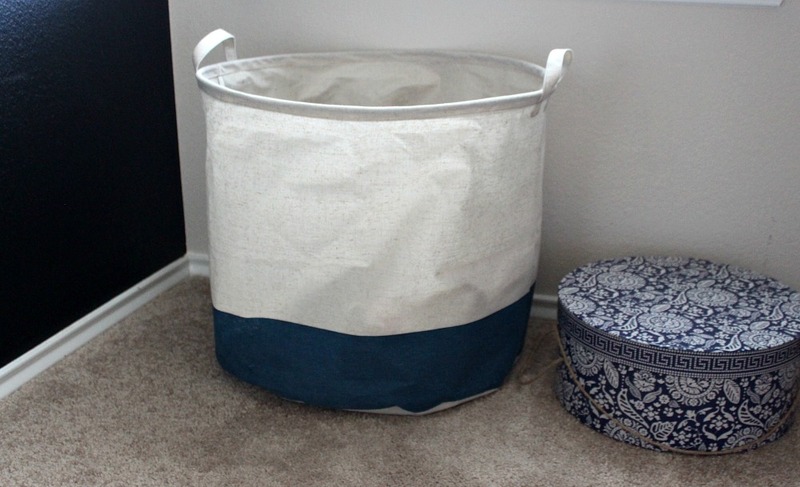 The canvas storage bins that come in the boxed room are perfect for organization. Hannah has a love for stuffed animals that has been with her since birth and that I don’t seeing going away anytime soon. The small tote holds some of her favorites. Hello Peter Pan! Remember, growing up is over-rated. The large tote she’s using as a hamper. It’s much more pleasing to the eye than the plastic one she had in there before. We also purchased a hat box to hold some of her mementos. We plan on buying two more and stacking them. 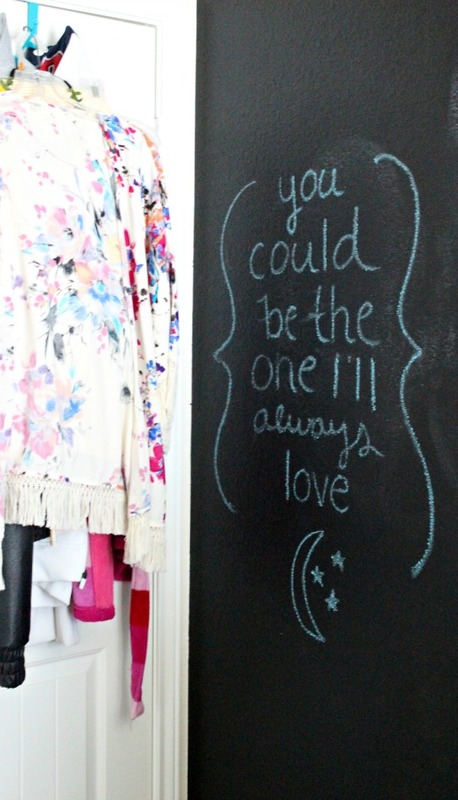 See a glimpse of the chalkboard wall? She has quotes written all over it, as well as a few pictures. 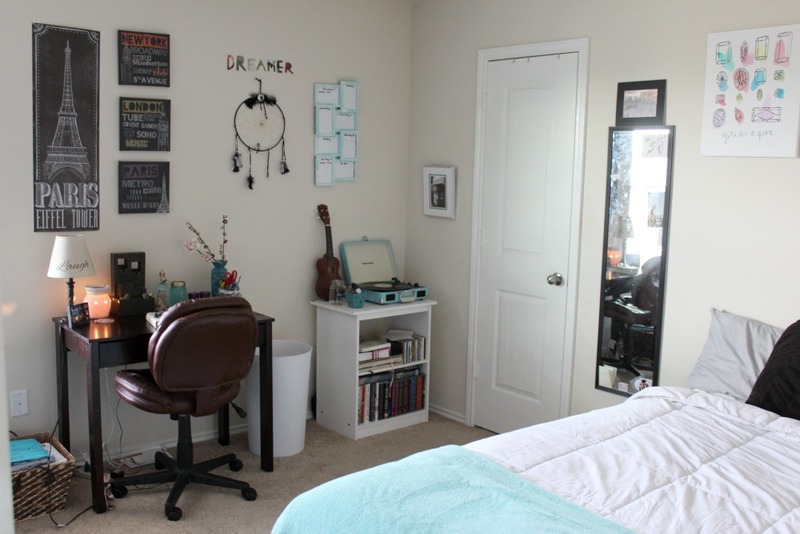 Hannah is in love with her new room! She still has a few more ideas for adding more personal touches. 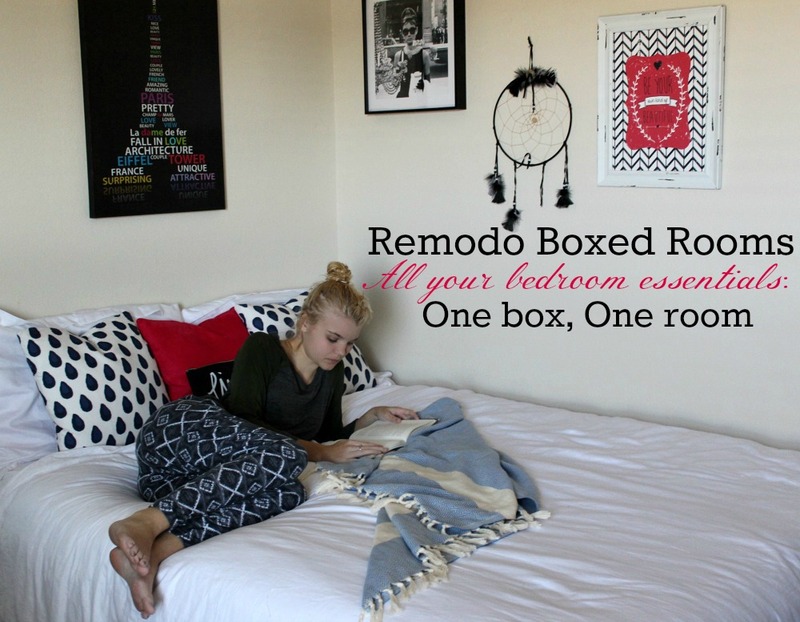 Are you interested in learning more about Remodo’s Boxed Rooms? 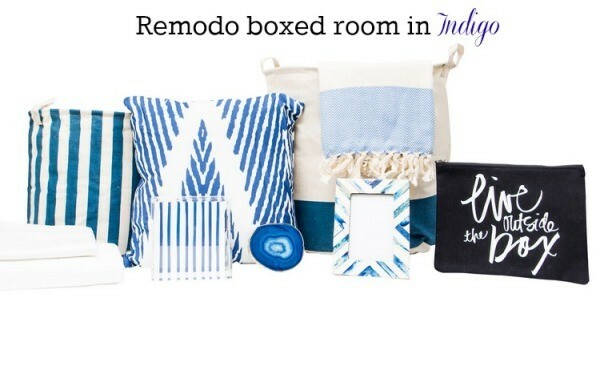 They’re available for twin and queen and come in colors such as the indigo featured in Hannah’s room, as well as pink, teal, black & white, gold (my favorite!) and lavender. See all of the different sets here. 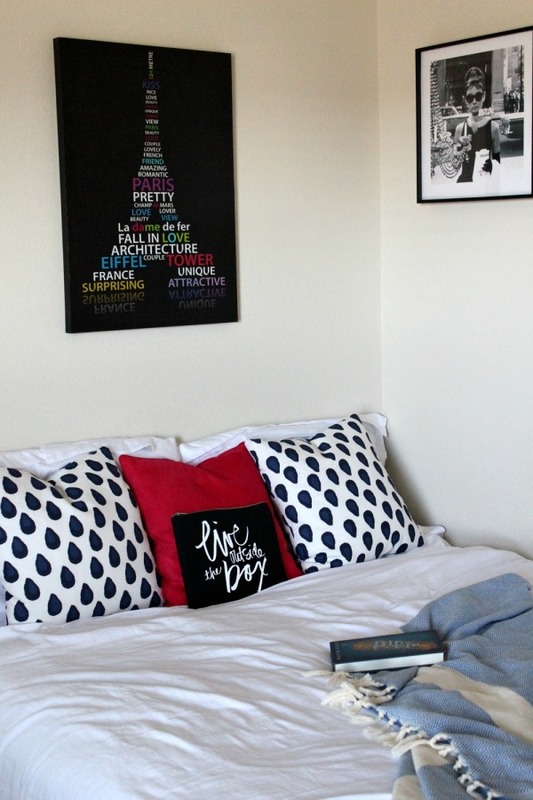 Is there a bedroom in your home that could use some redecorating? Or maybe you know a high school student who’s graduating this year. This would make such a great gift! 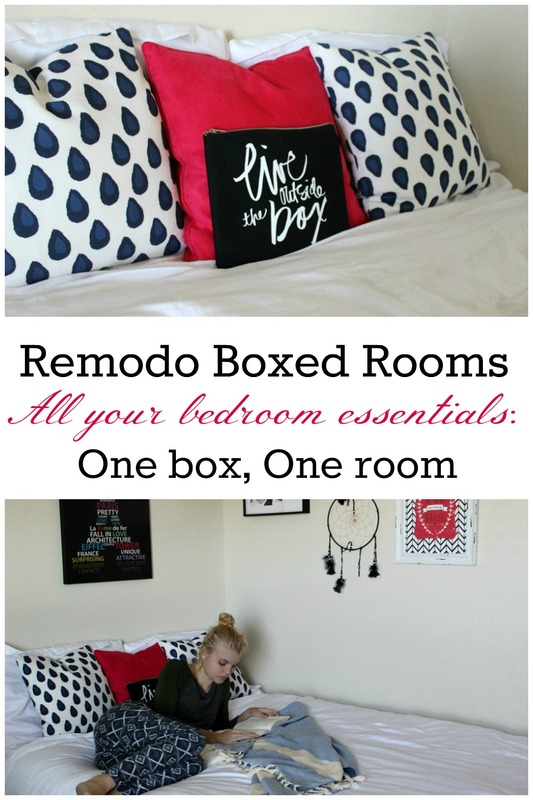 I hope you enjoyed the little bedroom tour!